Bill and I believe that these advances in science and medicine, your promising research, and the rising concern of people around the world represent an historic opportunity not just to treat malaria or to control it-but to chart a long-term course to eradicate it. Is it possible? I have no idea, myself. It’s been tried before (the poster at the top is from 1958) without success, and we are certainly a long, long way away from that aim at the moment. I do think it’s a worthy goal. And there are some new glimmers of hope. A Lancet article1 that came out about the same time as Gates’ talk shows that a new malaria vaccine is safe and at least moderately effective. Is “moderately effective” good enough? We don’t really know yet how effective the vaccine is; this study (which wasn’t designed to test effectiveness per se) found around a 65% level of protection — low for a vaccine in general; high for a malaria vaccine. A commentary on the paper in the same issue of Lancet2 says that “ Some experts have predicted that the effect of the introduction of a partly protective vaccine will be reduction in morbidity and mortality in the first years of life, with negligible effect on transmission. ” If so, then this is more a step toward control than eradication. This entry is filed under Parasites, Science, Vaccines. You can follow any responses to this entry through the RSS 2.0 feed. Both comments and pings are currently closed. I think elimination of malaria is going to be tricky (as an understatement) since there is no 100% effective vaccine… but then I guess we can say ‘yet’. 65% is a far cry from 0%. Then again, in places like Zambia where malaria is responsible for half of all deaths it’s not just a matter of finding new ways of controlling the disease, it’s a matter of an impoverished government being able to afford to implement them. 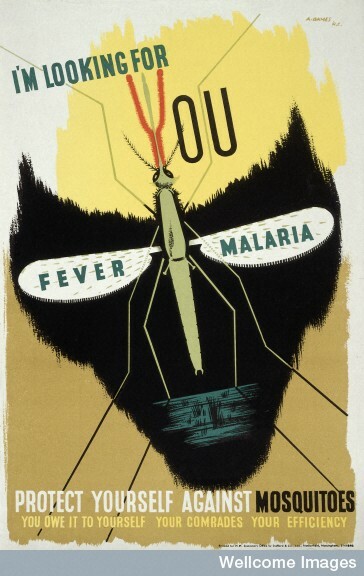 I think elimination of malaria is going to be tricky (as an understatement) since there is no 100% effective vaccineâ€¦ but then I guess we can say â€˜yetâ€™. 65% is a far cry from 0%. A 65%-effective vaccine will probably help in control, but as you say isn’t likely to make much progress toward eradication. However, at least one (and I believe several) other vaccines which may be even more effective are on the horizon, with a promising candidate entering clinical trials in 2008. Your point about the role of government is a good one. 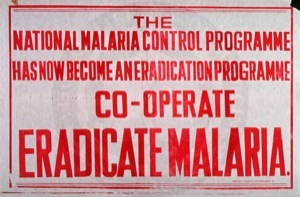 Genuine eradication would need the same sort of political will as the smallpox campaign (more so, since the eradication will require a lot more than just vaccination, so it will be a more elaborate and cooperative effort than smallpox), and would need lots of money input. Still, if vaccines can even locally reduce the prevalence I think it might open eyes to the possibility of eradication.